When is the best age to neuter a dog? It depends on the dog. 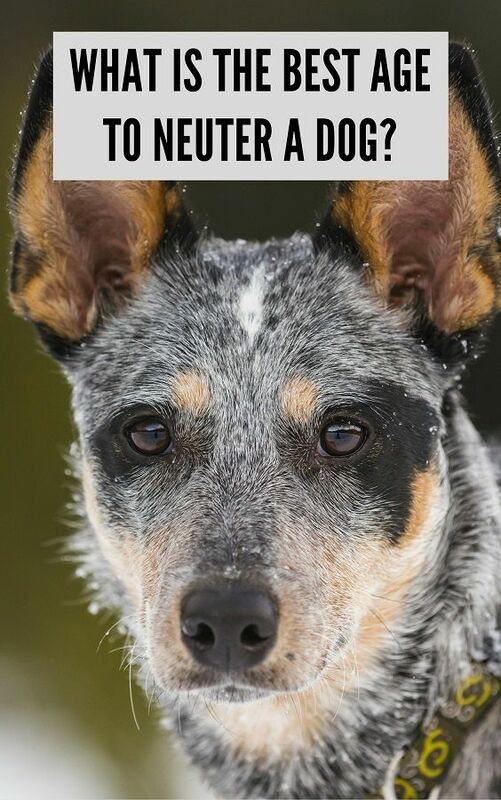 When to spay or neuter a dog is a personal choice between the dog’s owners and the dog’s vet (and sometimes a contract with a breeder or shelter). There are pros and cons to spaying or neutering a puppy or dog of any age. When I purchased my weimaraner puppy from a breeder I agreed under contract to have him neutered by 14 months, and that was OK with me. Remy is 10.5 months now and I had him neutered on Monday. I thought it would be helpful for others to hear about my decision, and please feel free to share your own examples in the comments. When is the best age to neuter a dog or puppy? Personally, I wanted to wait as long as possible before neutering Remy because the newest research says it’s healthier for most dogs to remain intact as long as possible, ideally their whole lives. I’m thankful our vet keeps up to date with the latest research and he actually encouraged me not to neuter Remy at all. With a larger breed like Remy, my main concern was the direct relation between early neutering and increasing the dog’s risk for joint problems and bone cancer down the road. Since my dog will be very active as my running partner and potential agility dog, I took this seriously. Are rescue groups neutering puppies too young? Yes! For females, a spay surgery removes her uterus and ovaries, eliminating her risk of ovarian cancer, eliminating her risk of an infected uterus (pyometra) and reducing her risk of breast cancer. For the males, remove the balls and you eliminate the risk of testicular cancer. Spayed females are more likely than intact females to have urinary incontinence. It doesn’t take a doctor to figure out that hormone-producing organs affect many areas of the body beyond reproduction. OK, but what about behavior? My readers outside of the U.S. are shaking their heads now. In so many countries, people generally do not spay and neuter their dogs and the dogs do not have behavioral issues. At least, not any more so than spayed and neutered dogs. Do you notice that when a neutered dog is aggressive, his behavior is blamed on either the owner or a lack of training? But when an intact dog is aggressive, his behavior is blamed on the fact that he has balls? With my dog Remy, I would’ve neutered him sooner had I noticed any obvious behavioral issues. These behaviors can generally be managed with training, socialization and controlling the environment, but every dog is different. I do think spaying/neutering can at least help with managing certain behaviors. But it’s not a magic fix. With Remy, he unfortunately does try to hump ME on occasion when he’s excited, and he’s very “up close and personal” with sniffing people and dogs. He also humps Ace’s dog bed. I do hope these behaviors will decrease at least a little now that he’s neutered, but I’m not counting on it. Update: Neutering did seem to stop this behavior entirely. 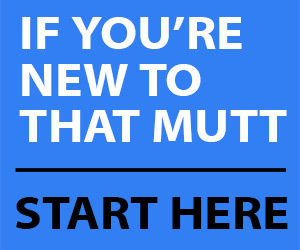 By now I hope it’s obvious there is no best age to neuter a dog or puppy. So much depends on the individual dog. Since we’ll be starting some more focused field training with Remy this winter and hunt tests in the spring, I simply wanted to get the surgery over with so he’d be recovered by the end of January for field training. 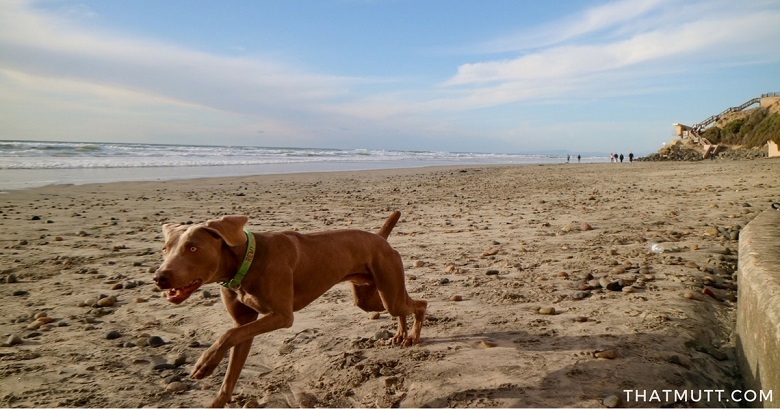 In the United States, there are stereotypes against intact male dogs and they are generally not allowed legally in dog parks, off-leash dog beaches, dog daycares, etc. I board my dogs and I want Remy to be able to play in the dog daycare groups. This was actually a big factor. I’ve noticed the majority of other dogs tend to show aggression to Remy. It’s mostly due to his immaturity and explosive energy, but I have to think it was also due to him being intact. People tend to blame the intact dogs for aggression, but it’s often the neutered dogs that are the issue. I notice neutered dogs show aggression around Remy, and that comes down to poor socialization. Anyway, Remy loves other dogs and unfortunately most tend to posture and growl/snap at him or even bully him or try to attack him. I’m hoping now that he’s neutered other dogs will be more accepting of him. It’s a myth that neutering a dog will decrease his energy, but hey, if Remy happens to have 5% less energy, I’ll take it! We’ll see. What about unwanted litters and being ‘responsible’? This was not a factor at all and is really a non-issue for San Diego. It could’ve been different had we lived somewhere else, but the responsible thing to do in our case was consider the health and best interest of our own dog. Remy is recovering well and surprisingly it’s been fairly easy to keep him quiet. But we can’t wait until he can RUN again in a few days! What were the main factors in your decision about if and when to spay or neuter your dog? 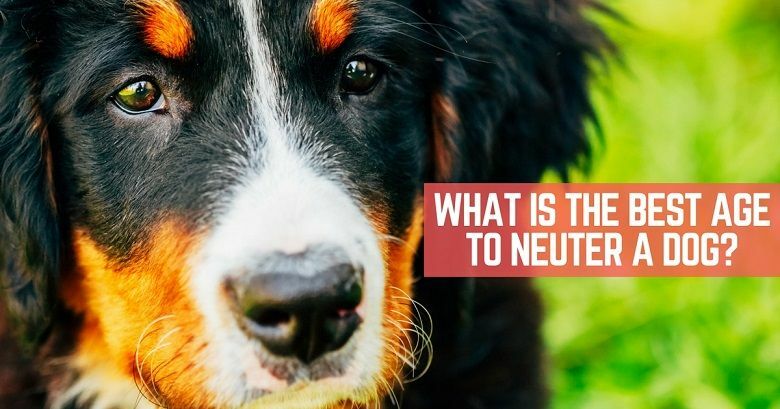 What would you say is the best age to neuter a dog or puppy? IF I get my boys neutered, it will be at 3 years of age when they are fully mature physically. i got my 2 girls spayed late. my breeder told me not to do so until they got a little more mature and weighed a certain amt. my vet at the time, got pissed. the girls weighed abt 5-6 lbs and were very well behaved. in addition, the vet that did the ears on my youngest dog, told me not to have her spayed til later. she was also a show breeder of mini schnauzer. i dont go to the former vet anymore. i think it depends on the dog breed, what you are doing, if showing, you cant spay/neuter. many dogs mature late, and this can cause a problem if you spay/neuter them to early. so i think there are several things to consider depending on what you are doing with your pet, and the breed itself, and how well the pet is maturing. there are new ways to spay now, like the laser so they recover quickly and no big incision. they also dont have to remove everything now. I have this decision coming up again in the near future. When I was raising for the guide and service dog schools they called my puppies in for spay/neuter anywhere from 6-12 months of age. Since I had Archer neutered I’ve spoken with several vets, trainers, and service dog organization and they all have different answers to the spay/neuter question. Anywhere from 6 months to 3 years to not at all to sterilization. Bear and his siblings are 9 weeks old so I still have some time before I have to decide. I’m sure you’ll see another blog post on the subject in the coming months. I haven’t neutured Oliver yet. He’s 10 months old. I was planning on a year, but worry I shouldn’t even bother because I’m still confused. My vet is not helpful so I doubt I will go the them and I’ll probably find a new vet soon. He does mark my home if other dogs come in for too long – but that’s so rare and I watch him now for that, he very rarely humps other dogs (bc I trained him not to), and I’m pretty sure he’s a giant lab trapped in a morkies body because he wants to play fetch constantly. He’s the perfect dog – never ever has he been aggressive, always submissive to aggressive dogs, happy as a clam — his only con is that he has selective hearing when we are in the dog park. Which is every day. LOL. If he did listen to me, I can’t imagine a more perfect dog. I’m afraid I’ll do something wrong by neutering him because who would I be doing it for? Me, him, or others judging me? Sounds like you’re not comfortable having it done and since there’s no issues with him as is, might as well wait. We had a male german shepherd that we did not neuter at all. He lived until almost 9 years old when foot cancer took his quality of life. He never had any problem around other dogs neutered or unneutered and no other dogs had a problem around him. We even adopted another male that had been unneutered until age 7 (we rescued him but they neutered him first) and both he and our other dog got along like best buds. I had a female german shepherd that I thought I had to spay at age 5 months and she had problems with her joints and arthritis ever since she was spayed. Now we have two sisters that we have had since they were 9 wks old. We were waiting until they were full grown (around 2-3 years old) but some issues came up with the fact that they were siblings and unfixed. I called 4 different vets who told me not to get them spayed as it would take away their calming hormones and there might be more serious problems between the two of them in the future. So instead of spaying them (we just use little kids underwear and pads when they are in heat), we treated them with homeopathy, positive dog training and herbs. They are going to be 3 here soon and we have very healthy girls.